You probably know Family Danz is a name you can trust for all of your home comfort needs. You might not realize, though, that we provide our Albany, NY customers with the oil they need to keep their furnaces running and their homes warm and toasty all winter long. At Family Danz, we provide our customers with premium grade fuel at the lowest prices, guaranteed. We post our current fuel price on our website, and we will meet any price you may find that’s lower. If you don’t want to gamble on day-to-day pricing, though, you may want to consider an oil budget plan from Family Danz. When you choose an oil budget plan from us for your home fuel needs, you’ll receive automatic delivery and guaranteed pricing, so that you can better plan your utility budgeting. With today’s oil prices, we know the cost of heating your Albany, NY area home can be expensive, and that it’s important for you and your family to have an oil budget plan that you can rely on. That’s why Family Danz works hard to ensure that all customers can choose an oil budget plan that meets their home heating needs. You’ll have the benefit of a fixed price for your fuel, so you’ll know what you’ll be spending each month, as well as the advantage of automatic delivery, so you can rest assured that you won’t run out of fuel, even on the coldest night of winter. Family Danz knows it can be hard for a household to pay a large utility bill around holiday time. You won’t have to struggle during peak season for fuel consumption – with an oil budget plan; you’ll have the peace of mind of regular, affordable monthly payments. Family Danz offers oil budget plans and more to Albany, NY customers. Family Danz is proud to provide our oil budget plan customers with automatic delivery at no additional charge. The biggest advantage to choosing an oil budget plan for your Albany, NY home is the convenience and security of knowing that you won’t run out of home heating oil. Our drivers will deliver fuel oil to your home whether you’re at home or not, so you don’t even have to worry about scheduling a time to be there for your delivery. We offer the best quality fuel oil, kerosene and Bioheat, and we’re also happy to supply on-road and off-road diesel to farms, construction companies, excavators and many other commercial accounts. Of course, if you would prefer to call when you need a fuel oil delivery rather than choose an oil budget plan, we recommend that you kindly contact our office when you tank gauge is between half and a quarter full, in order to allow ample time to schedule a delivery. Choose a Family Danz oil budget plan for your Albany, NY home or one of our other home heating oil services. When you choose Family Danz for your oil budget plan, you’ll receive home heating oil that not only keeps your home warm and comfortable, but helps your equipment run optimally as well. Our home heating oil contains detergents to keep your heating system running clean and at maximum efficiency. These fuel oil additives reduce service calls, extend equipment life, benefit the environment and help you save money. 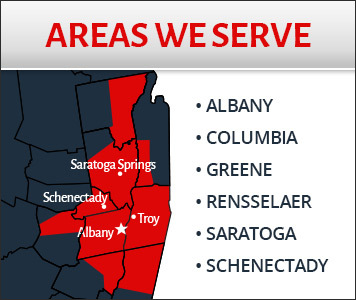 Don’t be left out in the cold this winter – choose a trustworthy, reliable fuel oil delivery company conveniently located the Albany, NY area to help you with your oil budget plan needs. Give Family Danz Heating & Cooling a call today at (518) 427-8685 to find out more about how our oil budget plans can help you stay warm all winter long – without breaking the bank!